This week’s assignment from The League of Extraordinary Bloggers has us writing about our first experience with something. “Firsts” are largely synonymous with big events in life: first words, first step, first love, first marriage, all that. It’s only natural that we eschew those types of firsts and concentrate on what really matters: the first time we played video games. Everyone likes to rag on the Atari 2600 E.T. these days, but I’ve been disappointed by that game my entire life. It was essentially the first game I ever played and it made no sense to me whatsoever. 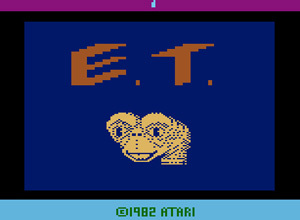 Thankfully, I played a second game and didn’t end up avoiding video games my entire life because of E.T. This title screen couldn’t really get any worse. Come to think of it, I had a lot of random E.T. merchandise around the house, which is odd because the movie was just a little before my time. Also, I never particularly liked the film or expressed any interest in it as a kid. The first new video game I remember getting was Demon Attack, also for Atari 2600. My mom brought it home as a surprise and it pretty much blew my three-year-old mind away. To this day, the two unconnected pieces of space ships firing Tic-Tac pieces still holds my attention for hours at a time. When I’m alone at night, that intense beep sound still haunts me. I grew up in a household that was already moderately heavy on video games—there was an Intellivision II and Tandy Coco kicking around before I came into the picture, and shortly after that a Commodore 64 was added to the reigns among other computers I couldn’t really identify. I wish I could tell you the first video game I played, but I was playing Intellivision before I had memories. My parents were thrifty, which is probably why I ended up with an Atari and not a Nintendo.The first video game system that was really mine and new to me was the Atari 7800, which came packaged with Ms. Pac-Man and Pole Position II. I’m not sure which I played first, but I know I was blown away by both games. My favorite of the two was Pole Position II because I thought it was hilarious that the car would explode if you bumped into a car or hit a sign. Once I got tired of crashing cars, I moved on to Ms. Pac-Man. I was astounded by the graphics, especially after playing an old Pac-Man cart we had kicking around. How this system could go from that square flashy thing to such an amazing game blew my mind. I never did get the hang of Hearts. Before the Atari, I played a lot of Intellivision. 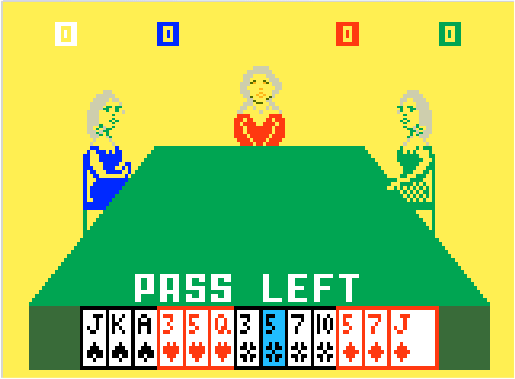 My parents had a nice catalog of games, which was kind of weird considering my memories of Intellivision largely stem from watching my mom play Royal Dealer. Constantly. One of the games happened to be Advanced Dungeons & Dragons: Cloudy Mountain. I’d like to preface the rest of this article by stating that I’ve never had an interest in D&D, I’ve never played D&D, and I typically can’t get into that genre of fantasy. 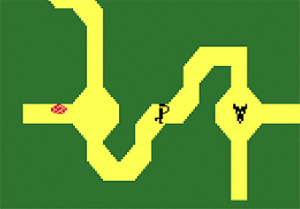 But for some reason I loved Advanced Dungeons & Dragons for the Intellivision. I don’t think I ever mastered how to play it (or tried), but I loved shooting arrows and would be delighted when I ran across a dead cow skull. I’m not quite sure what any of that says about me. Demon Attack! I never played it but always wanted to because of the commercial – some puppet Demon yelling Demon Attack. I’ll have to see if I can find it on YouTube. gijigsaw Oh wow, that is a sweet commercial! Usually Atari commercials are pretty lacking, but damn! Thanks for sharing!